Terry Donnelly FSWPPThis shows the qualification attained by Terry Donnelly within the SWPP and associated societies. He is a Sony Europe Imaging Ambassador, Rotolight Master of Light and Fotospeed Ambassador. Since joining the Societies under 4 years ago he has earned 76 Gold awards and 146 Highly Commended awards in the monthly competitions, resulting in 11 photographer of the year nominations, 3 photographer of the year awards and was the overall Societies runner up photographer of the year in 2017. In the 20x16 print competition Terry has had 32 awarded prints, won 4 categories and was the overall winner of the competition in 2016. Terry is the Societies Nature photographer of the year for 2017 and holds Fellowship with the Societies (FSWPP), the Royal Photographic Society (FRPS), the British Photographic Exhibitions (FBPE) and a Masters with the Photographic Alliance of Great Britain (MPAGB). 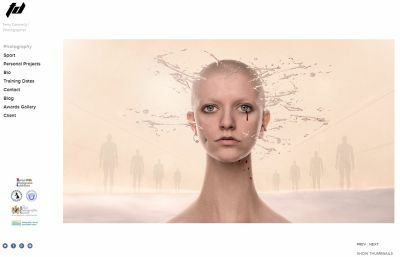 His work has been exhibited in over 25 countries and has amassed over 250 International awards since 2012 including 13 Best in Exhibition awards at International Photography Exhibitions. Terry is regularly invited to judge photography competitions and to be a selector at international photography exhibitions. He is a regular speaker and lecturer around the UK to photographic organisations and at trade shows.